Are you a stock purist or a complete utilizer? Find out the best ingredients for making chicken stock from scratch, and learn what can and can not go into it. As with most things, the the effort and attention you put into making chicken stock determines its quality. However, it doesn’t end there. The ingredients you choose determines whether it is good, great, or to-die-for. Depending on your needs, there are two major types of stock: a pure stock, and a complete utilization stock. Find out how choosing the right ingredients can impact the flavor and quality of your homemade chicken stock. A complete utilization stock is an “everything but the kitchen sink” stock. 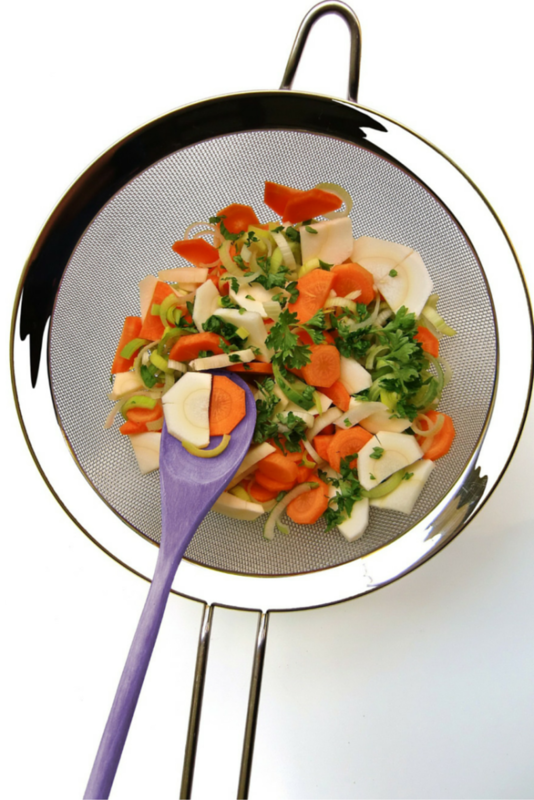 It uses cooking scraps to add the vegetable and aromatic flavors to you liquid. This primarily comes in the form of carrot ends, onion peels, or the root end of your celery. However, that doesn’t mean that you can only use trimmings, you can use whole ingredients as well. It’s just a great way of reusing the ingredients you might otherwise throw away. This method of making chicken stock is a great way to minimize food waste. However, it can get bitter or murky from the ingredients. A pure chicken stock is made with the cleanest, most pure ingredients. (Similar to a really good bone broth.) If any part is considered unappealing, it is removed. This includes carrot and onion peels, celery roots, and garlic heads. Think of it like prom. The ingredients for a pure chicken stock are presented at their finest. Meanwhile, the complete utilization stock sits is a hot mess with mascara running down its face. Both will still have a great time dancing, but only the pure stock will be picture ready. Making chicken stock this way is usually gives you a prettier color and presents a lot better. A pure stock is always best when for making a visual impact. The flavor is also fresher and lighter, because it is not burdened by anything unnecessary. However, since a pure stock does not use scraps, you are spending money on 100% waste. You’ll get a gorgeous stock, but the cost adds up quickly. Especially if you use stock frequently. What Ingredients Can Go Into Stock? As a rule, as long as your stock ingredients are edible, they can probably go in. Does that mean it is going to be tasty? Not necessarily. I once roasted a chicken that was stuffed with carrots, celery, onions, herbs, and…coffee beans. After I added the chicken carcass and its filling to my stock, I realized my mistake. I gave me a bitter stock that could keep you up all night with a caffeine buzz. Chicken bones. You can use ones from a raw chicken, but roasted bones will give you better flavor. Acid. This is usually in the form of tomato paste, and only for brown stocks to help dissolve the connective tissue. Mirepoix (a combination of carrots, celery, and onion). All together, the proportions of a stock should be around 50% chicken bones, to 10% mirepoix, to 100% water. Stock is a great way to use up trimmings and scraps, but not everything will make your stock tasty. For example, most of the Brassicaceae family of vegetables, like dark, leafy greens, rutabagas, cauliflower should be avoided. They have dominant flavor characteristics that may overpower your stock or make it taste bitter. Your scraps shouldn’t absorb water, or make it starchy; like potato skins, zucchini, winter squash, or corn kernels. Additionally, not all ingredients are safe to eat. While we don’t normally eat carrot peels, they are completely edible and fine to put into stock. Other foods, like yucca root peels, contain cyanide and can be dangerous to put into your stock. Don’t just throw anything into your stock pot all willy-nilly, make sure everything is safe to ingest. Hopefully you’ve already part one in this series on the difference between chicken stock and broth. Coming up next, we’ll combine that information with today’s to start cooking! 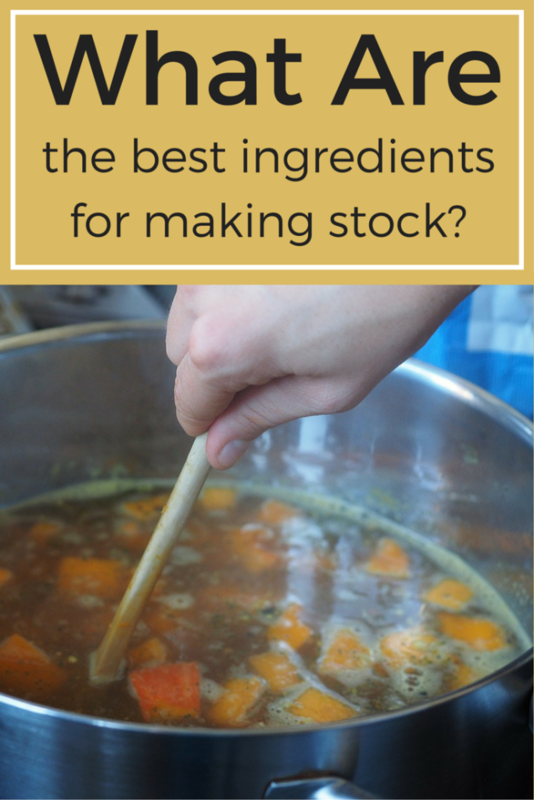 We’ll cover making a white stock, a brown stock, and how make your stock even better. Check them out below. 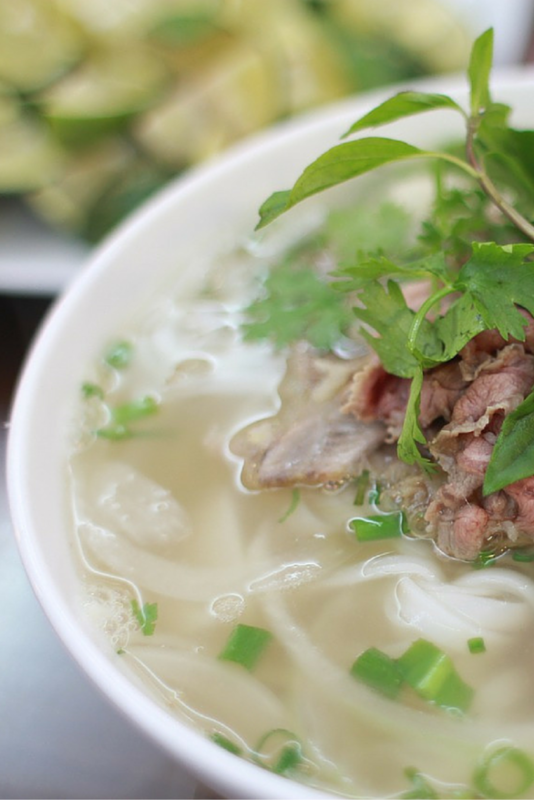 Types of Stock & Stock vs. Broth. How To Make A White Stock. How To Make A Brown Stock. Tips to Improve Your Stock + My #1 tip for making a perfect stock! I hope you are enjoying this information-packed series! If you want to go even further, you can try making your chicken stock like this overnight slow cooker stock recipe. Learned about what starch does the hard way! Thanks for this great resource! I bet that was a surprise! What ingredient did you put in it? Great post on stock. I learnt the hard way about what not to put in one time using cauliflower.